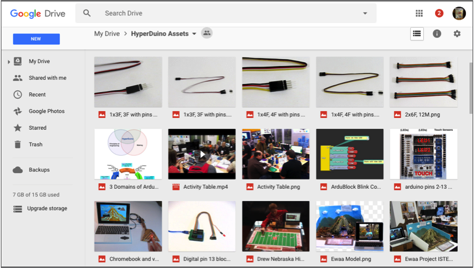 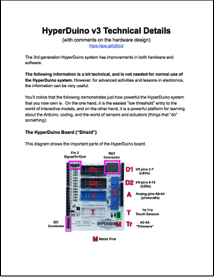 Below is a collection of links to documents helpful in the use of the HyperDuino system. 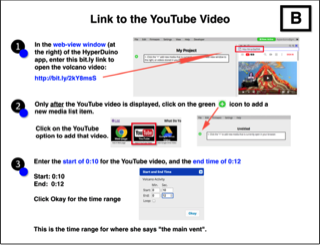 You are welcome to copy, edit, customize, remix and distribute your own versions of these tutorials and other documents as may be useful in your particular classroom situation. 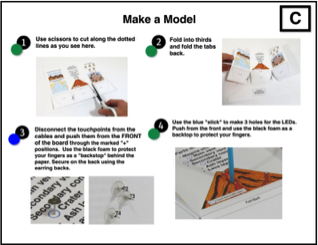 You may also find this page about educational standards helpful. 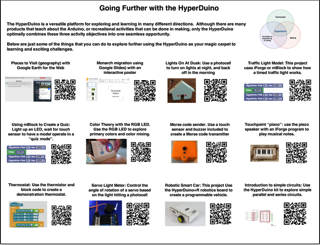 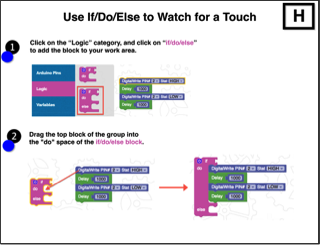 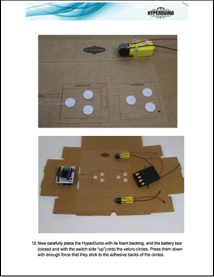 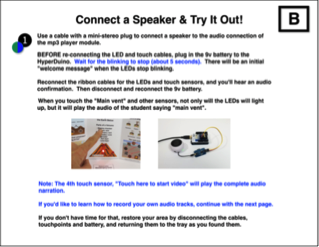 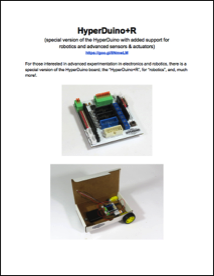 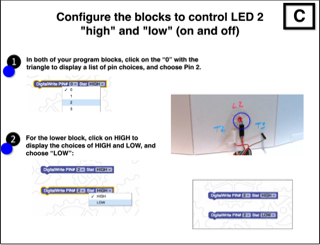 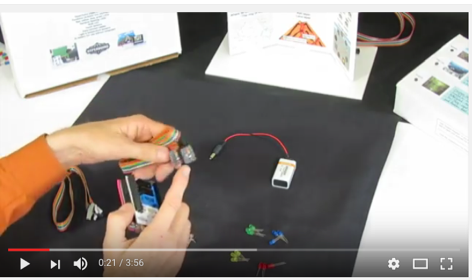 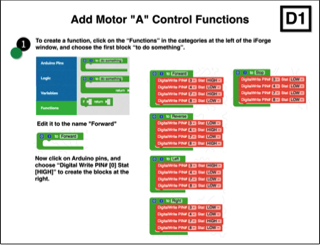 The pdfs below are graphic tutorials to using the HyperDuino. 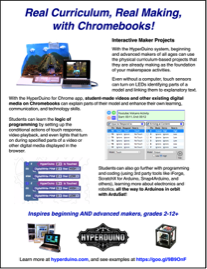 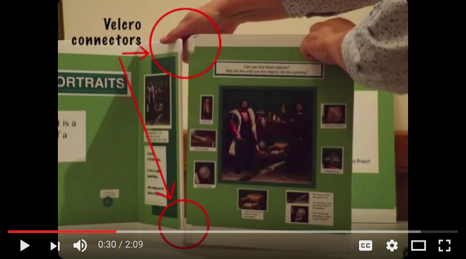 They are also used in school workshops and makerspace events. 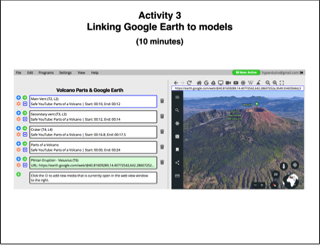 Many of them use the mini tri-fold volcano model, that you can download here. 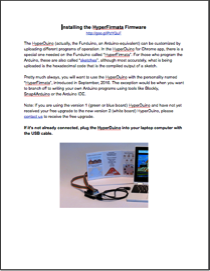 It is printed on both sides of index card stock paper that you can get here, and through other sources.